In the northern latitudes, midwinter's day has been an important time for celebration throughout the ages. 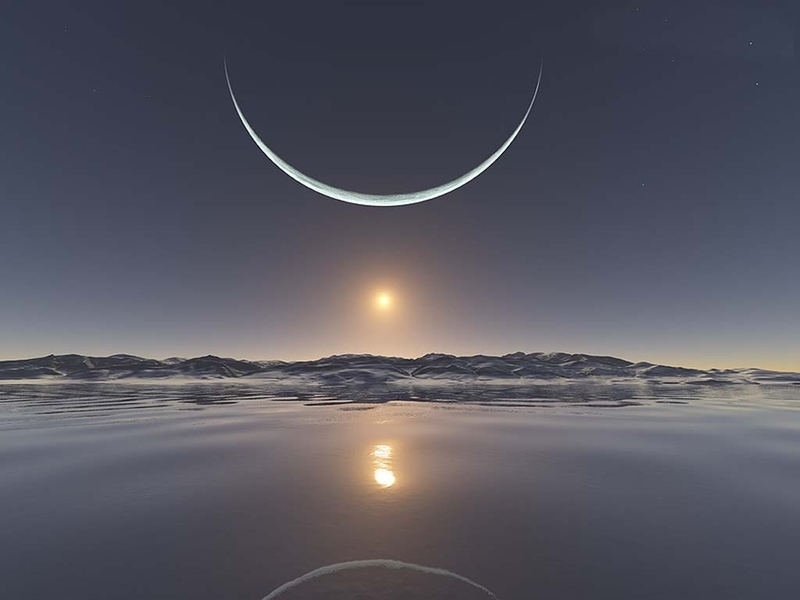 On this shortest day of the year, the sun is at its lowest and weakest, a pivot point from which the light will grow stronger and brighter. This is the turning point of the year. The romans called it Dies Natalis Invicti Solis, the Birthday of the Unconquered Sun. The Roman midwinter holiday was both a gigantic fair and a festival of the home. Riotous merry-making took place, and the halls of houses were decked with boughs of laurel and evergreen trees. Lamps were kept burning to ward off the spirits of darkness. Schools were closed, the army rested, and no criminals were executed. Friends visited one another, bringing good-luck gifts of fruit, cakes, candles, dolls, jewellery, and incense. Temples were decorated with evergreens symbolizing life's continuity, and processions of people with masked or blackened faces and fantastic hats danced through the streets. 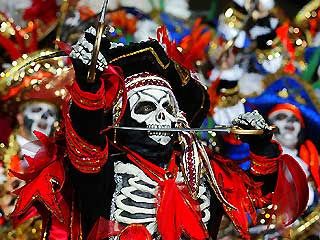 The custom of mummers visiting their neighbours in costume, which is still alive in Newfoundland, is descended from these masked processions. By 1100 Christmas was the peak celebration of the year for all of Europe. During the 16th century, under the influence of the Reformation, many of the old customs were suppressed and the Church forbade processions, colourful ceremonies, and plays and declared December 25th the birthday of Christ. Mistletoe, which was sacred because it mysteriously grew on the most sacred tree, the oak, was ceremoniously cut and a spray given to each family, to be hung in the doorways as good luck. The celtic Druids also regarded mistletoe as sacred. Druid priests cut it from the tree on which it grew with a golden sickle and handed it to the people, calling it All-Heal. To hang it over a doorway or in a room was to offer goodwill to visitors. Kissing under the mistletoe was a pledge of friendship. 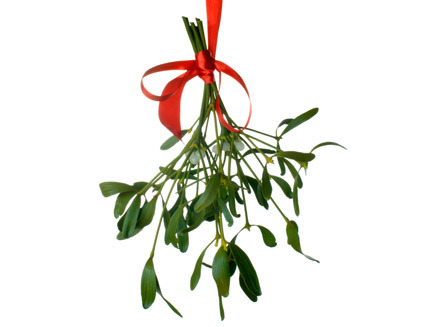 Mistletoe is still forbidden in most Christian churches because of its Pagan associations, but it has continued to have a special place in home celebrations. Happy Solstace everyone. Enjoy the holidays. All of them. Here comes the Sun! Happy Winter!